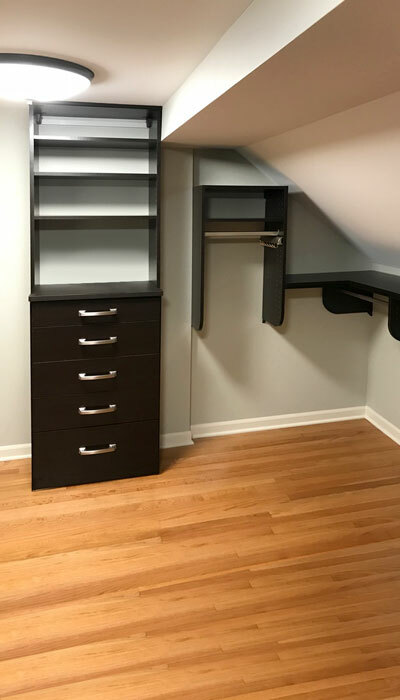 Sloped ceiling rooms are often create an illusion of limited space and lack of storage opportunities. 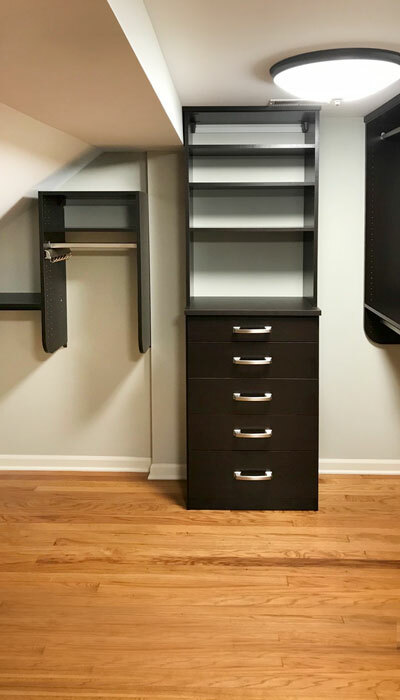 Clearly not a one-size-fits-all matter for furniture, custom organization systems like this sleek design from Closet Works can make the most out of the challenging space. 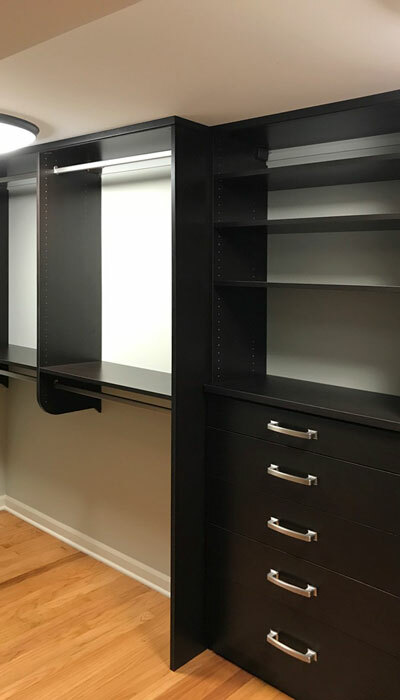 Steep, sloped walls in this room left about a 3 and a half feet section that created the perfect opportunity for medium length hanging and a scarf organizer. 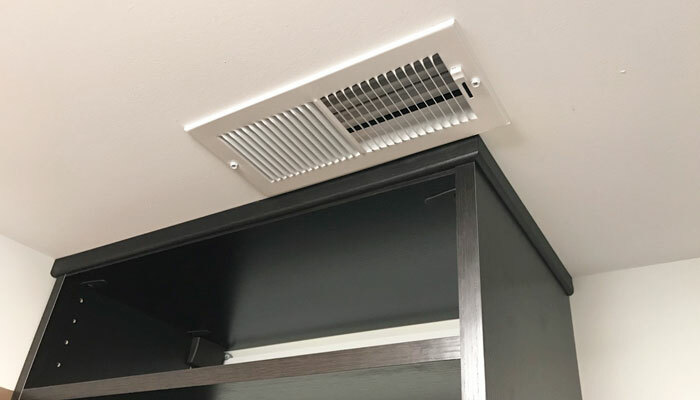 This master closet is a great example of precision and perfection with the system meeting the ceiling and leaving access to the air vent. 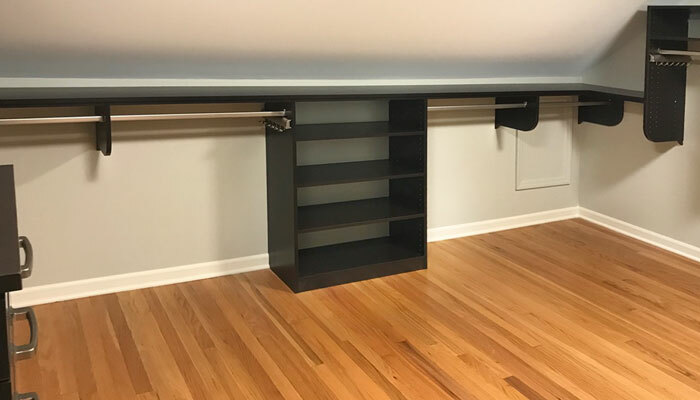 The dark Libretti laminate is sleek and streamlined to capture every angle of the room with a modern, unique look.